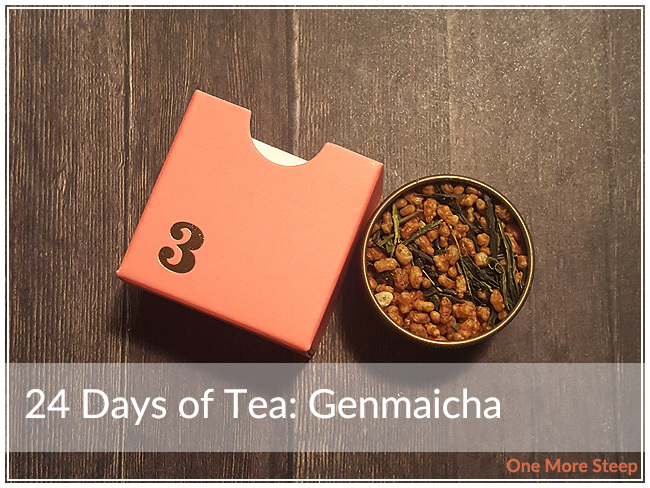 Genmaicha has been on my list of “teas to eventually buy and try”, so I was pleased as punch that it was in the DavidsTea’s 24 Days of Tea advent calendar as day 3. The dry leaf has a salty and vegetal quality to it, and I can smell the roasted rice as there’s a distinct rice smell to the tea itself. 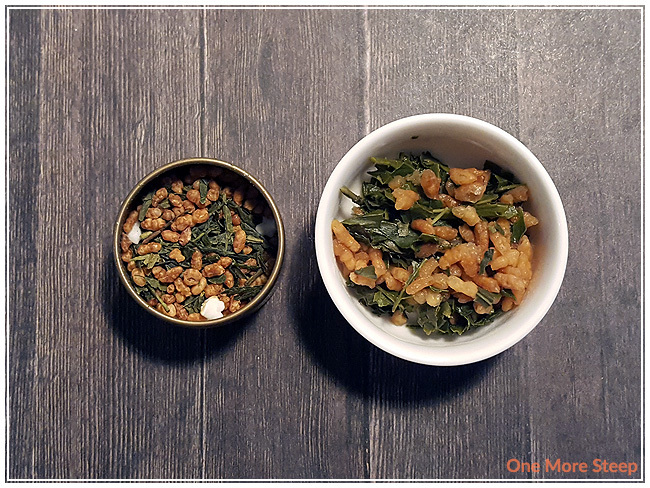 Genmaicha is filled with popped rice, I didn’t see the green tea leaves at first! The tea leaves are generally small and broken, which is a bit disappointing. 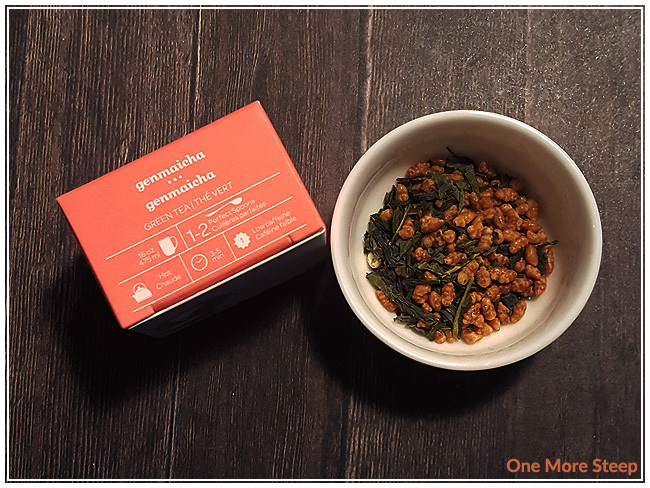 Genmaicha is made up of: steamed green tea from Japan, and roasted and popped rice. The steeping instructions for Genmaicha are to use “hot water” and to steep for 2 to 3 minutes as per DavidsTea’s website. On the packaging, it says to steep for 3 to 5 minutes. Drastically different steep times! I opted to steep for less, and my initial steep of Genmaicha was for 2 minutes. DavidsTea considers “hot” water to be 75-80°C or 167-176°F. Genmaicha steeps to a very pale yellow, the tea has a salty and vegetal aroma that reminds me a lot of seaweed snacks! It smells very much like how it did prior to steeping, which is always a good sign. After letting the tea cool just a smidge, Genmaicha has a tasty but salty vegetal flavour to it. There’s this slight crispness to the flavour that is difficult to describe. I found it very enjoyable and not bitter at all when steeped for 2 minutes. I feel that 5 minutes for an initial steep would be overkill. I resteeped Genmaicha twice. The second time around, it was very much like the first. I found the third steep, that there was this added sweetness to the tea that wasn’t there before. The subtle change in the flavour profile was enjoyable. I loved DavidsTea’s Genmaicha. 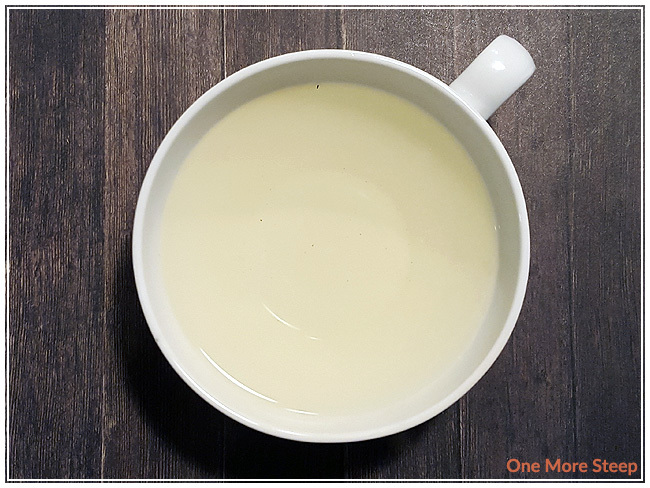 There’s just something enjoyable about a flavourful cup of tea, which is what Genmaicha was for me. I found the salty and vegetal flavours to be enticing, and it’s overall a very good cup of tea. I would not recommend following the steeping instructions for this tea based on the packaging (which is highly unfortunate!) as 5 minutes is generally far too long for a green tea.